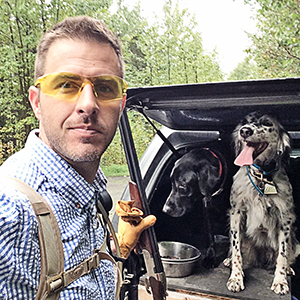 Brian founded Ultimate Upland in 2010 to be the most comprehensive resource for upland hunting enthusiasts. Since then it has grown into a community where bird hunters congregate and share their love for the sport. Brian strives to be the hardest working bird hunter in the country and aims to reach hunters and new members with detailed accounts of Ultimate Upland adventures. 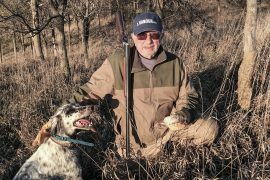 Koch is joined afield by hunting partners Wyatt the hard-headed lab, Rio the setter often referred to as the Wild One, and Ida the newest flushing pupil. A southpaw, originally from Michigan’s “North Woods,” Britney is a lifelong outdoorswoman and shooting enthusiast with a passion for upland bird hunting, German Shorthaired Pointers (GSP,) and over-and-under shotguns. A graduate of Western Michigan University, Britney holds a bachelor’s degree in journalism. 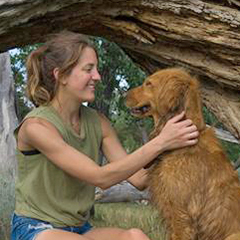 After entering the outdoor industry post college, Britney leveraged her knowledge of digital marketing and communications to start Booth Media Group, a full-service consulting company. She currently resides in Knoxville, Tenn. with her husband J.T. and nine-year-old GSP Wesson. 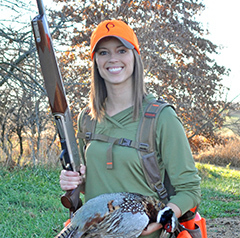 Britney has written for numerous publications in the outdoor and shooting markets, and you can find her byline in American Hunter, Upland Almanac, Turkey Country, Game & Fish Magazine, African Hunting Gazette, GunUp, Ultimate Upland, OutdoorHub, and The Daily Caller. Kali is a born and raised Ohio-an, and grew up in a small rural community where hunting was second nature. 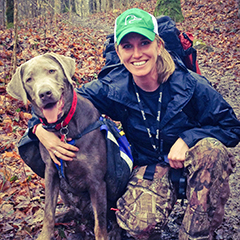 Entering the hunting industry after college, Kali served as the Communications Specialist for the U.S. Sportsmen’s Alliance, providing communications and marketing assistance to the non-profit, as well as growing her knowledge of hunting and fishing. 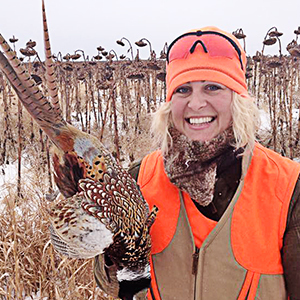 Her love for writing, design and photography has since lead her to serve as the Managing Editor of Petersen’s Hunting magazine. 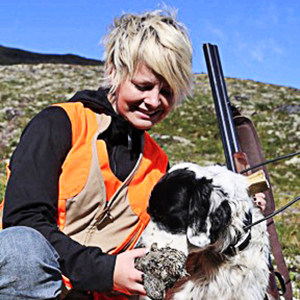 Kali loves all things upland bird related, but most of all, her one-year-old, silver labrador, Lincoln. Andrea is from the Ozark Mountains of southern Missouri. Bowhunting is her main passion but she can also be found bowfishing, upland bird hunting and waterfowl hunting when they are in season. During the off-season, she loves to leave her trail cameras up to catch unique pictures of the different wildlife in the area, including bears, ducks and anything else that shows up. She is field staff for Prois Hunting & Field Apparel, pro staff for Browning Trail Cameras and an ambassador at HuntVault. She has written articles for several outdoor publications and blogs including ADVENTURESS Magazine, The American Woman Shooter, the Sportsmen’s Allliance, and Browning Trail Camera’s “Behind the Lens” blog. She also is the founder of a women’s hunting blog called Huntress View and enjoys writing articles there highlighting her outdoor experiences and sharing what she has learned with the ever-growing number of women hunters. She calls the rolling prairies and badlands of North Dakota home. Over the last few years Danielle had the opportunity to hunt and cook a variety of wild game which has made a huge impact on her lifestyle and diet. She no longer wants to rely on buying factory farmed meat because it is extremely rewarding and satisfying to know where food comes from. 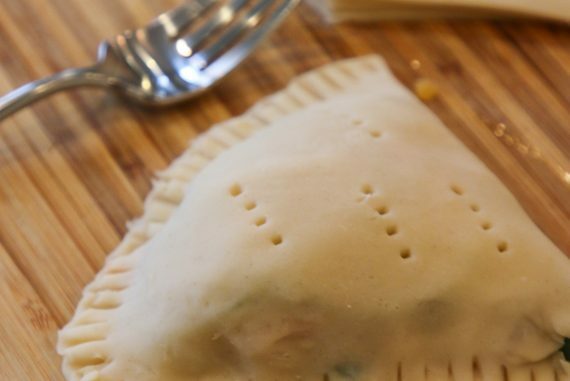 When she first started cooking with wild game she was a little lost and needed guidance. Danielle searched the internet looking for recipes and tips, but most she found were unhealthy. She believes that when we nourish ourselves from the inside out, we feel better, look better, and even think better. She hopes to inspire others to cook wild game, make mindful choices about what they consume and most importantly, to live Wild + Whole. If you have an interest in the outdoors, conservation, hiking, backcountry adventures, upland birds or crazy dogs we’re always looking to share new perspectives with our readers. Photographers, videographers, writers and artists who share our interests and want to become Ultimate Uplanders send samples of your work or reach out to us here.